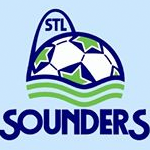 2007/2008 Boys We would like to invite you to come to our St. Louis Sounders F.C. 2007/08 Independent soccer team. We Play in both the fall/spring leagues at SLYSA. We have a fun group of kids and parents from our successful 2016/17 season and look forward to the 2017/18 season. With the move up in age groups we will play with more players on the field so we are welcoming new players to the team. In case you are wondering we supplied each players with 2 nice Nike full kits and full top and bottom sweat suit, with training shirts and a team bag. Each kid paid $600 total for the whole year and we are looking to keep it that same for this upcoming season. (this is also where we train 2 times a week during the Summer/fall league and Once a week during the Spring with all the other sports going on with all the players on our team. We will be on the upper field.